Pat reminded us last week about the recovery and "help" position. This means we are well prepared for when we are faced with the dangers of water! On Wednesday we had our class sleepover.. They learn't lots of exciting things. On Wednesday Awapuni Touch team represented the team with pride and determination. Here is a short video to express this. Room 1 went to the town Library toady. Don't forget to bring the Beach Education notice back. Welcome to Week 2 of Term 1. -Home learning will be home tonight all students need to be doing this. -Tuesday evening we have a meet the teacher evening at 6 pm at the Gisborne Library. -Wednesday Miss Wallis is out at a Touch tournament with 10 students from Awapuni School. -Thursday we have our town library visit. 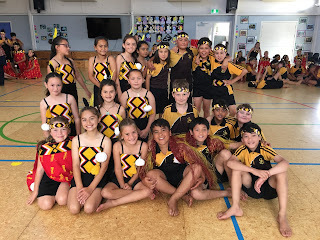 -Thursday at 1:30 we have our Powhiri to welcome all new students, year 4's and new teachers to our team. -Friday we have our Beach Education Safety day down at the beach. Congratulations to Eden of Room 1 for receiving the Student of the Week for Team Pango!! Eden you are a super student who is always willing to help. You challenge yourself inside and outside the classroom. You are the kinds of best and shows these in everything you do. You are a well mannered student and a pleasure to have in the classroom. I cannot wait to see your learning blossom throughout the year. 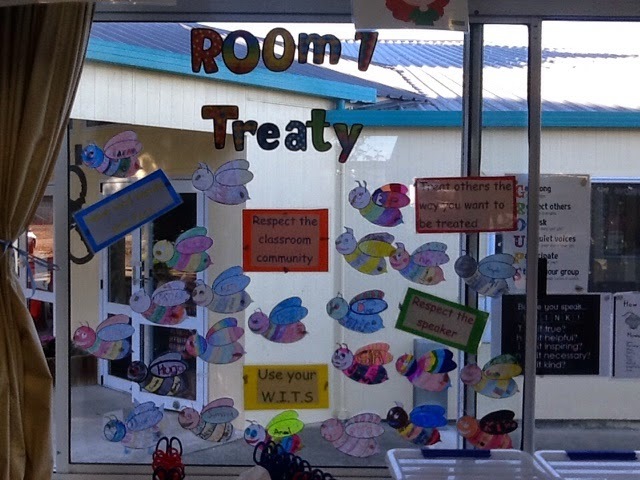 On our first day of school Room 1 had a discussion around what a treaty was and what it would look like in a classroom. Here is what Room one agreed to and signed ready for a successful year of learning. Welcome back to a new year of learning. I hope you have all had an enjoyable break. 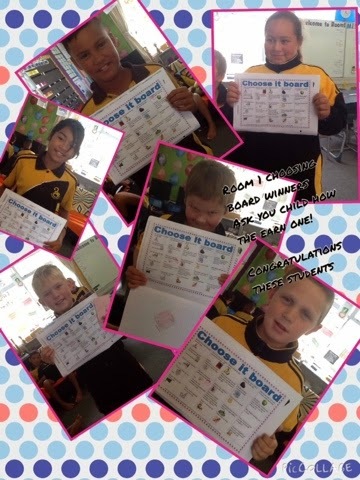 This year in Room 1 we are a class of year 5 and year 6 students. I am currently on my second year of teaching. 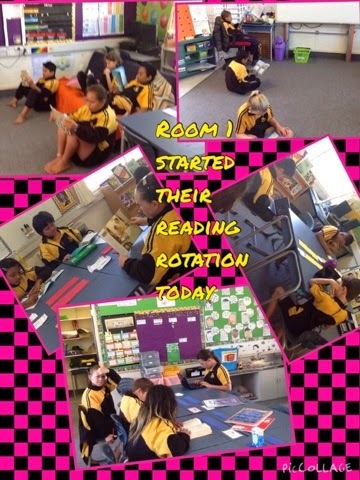 Last year I was in Room 2 teaching year 5 and year 6 students. 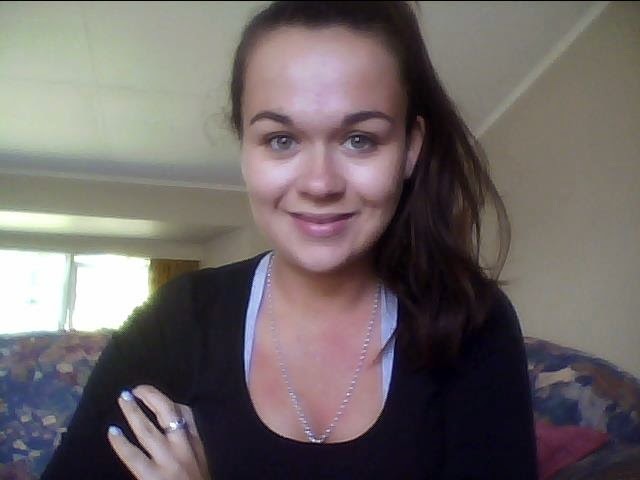 I am from Gisborne originally then moved to Hamilton to attend Waikato University to become a teacher. This year in Room 1 I will be having one release day every 2 weeks to complete planning and attend professional development courses. This is a requirement for any second year teachers. Miss Anna Beattie will be in Room 1 on the days that I am not in the classroom. I am looking forward to working with Miss Beattie as I know she has a lot of exciting ideas and work planned for Room 1 students in 2015. I am looking forward to 2015 and the exciting learning adventure we will have together. Please feel free to come in and see me at anything throughout the year. I am also available through email at any time. -Pat starts swimming sessions week 2. Important notice for Room 1 2015. I cannot emphasize the importance of home learning this year. Starting from Week 2 students will have home learning each night which will be 20minutes of reading a night, spelling and there will also be math challenges for the week. 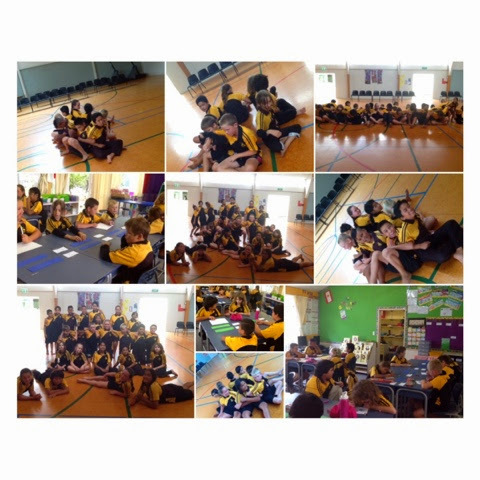 Swimming will continue throughout the start of Term 1. It is important that all students bring their togs and a towel to school each day. Swimming is a compulsory part of the curriculum just like reading, writing and math.